Book Online in 3 Easy Steps! Our ski in ski out condo rentals in Silver Lake Village of Deer Valley Resort stand out as some of the best rental properties in the area. All located in one building, our Mont Cervin Deer Valley vacation rentals provide the ultimate in convenience and luxury. Whether you want to relax in your home away from home after a great day of skiing or exploring the town or prefer to be sitting in your own private hot tub enjoying the beautiful Deer Valley views, we can make it happen! Maybe gathering your family around the fireplace to enjoy stories of everyones best vacation ever is your top priority, well now its ours too! 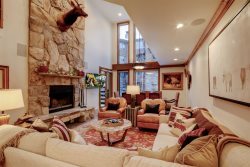 In addition to finding the perfect rental for your trip, we provide high-end, personalized service for our guests to make sure their vacation rental here in Deer Valley accommodates all of your needs. So, what are you waiting for, search all Mont Cervin condo rentals today, Deer Valley is the perfect place to visit all year round!